“Fire and Fury” author Michael Wolff took out the knives on “Morning Joe” co-host Mika Brzezinski in a lengthy tweet storm on Thursday following a combative on-air interview that was abruptly cut short. “My bad, the President is right about Mika,” he wrote. Earlier Thursday Wolff had a testy exchange with Brzezinski, who accused him of insinuating that President Donald Trump was having an affair with United Nations Ambassador Nikki Haley. Wolff disputed that characterization and refused to apologize, at which point Brzezinski said the author was trying to spread “BS” on the show and abruptly went to break. After the segment, Wolff tweeted that things were very different the last time he was on set with Brzezinksi and her co-host and soon-to-be husband, Joe Scarborough. The last time I was on Morning Joe off camera Joe and Mika eager to gossip about who Trump might be sleeping with. It really would be hard to gossip more eagerly off camera than Mika and Joe gossip. 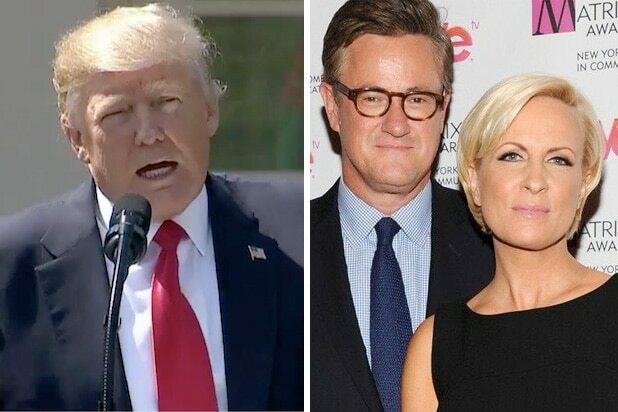 Revealing off-camera (and presumably off the record) content is a dirty play — but one both Mika and Joe have employed in the past as well. 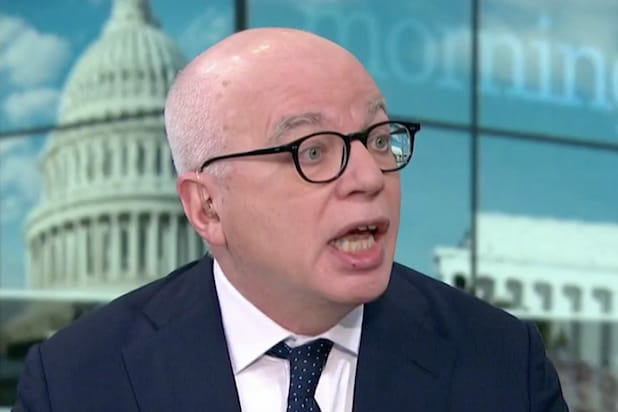 Wolff also took aim at the show and reiterated his insistence that his only intention in a much-discussed appearance on “Real Time With Bill Maher” had been to suggest Trump was still fooling around with women and not to single out Haley specifically. But his public speculation had led many to pore over his book for the passage he referenced might suggest an affair — and which prompted Haley herself to step forward to deny “disgusting” rumors that she might have anything but a professional relationship with the president. And let me repeat: Nikki Haley has chosen to vociferously deny something she was not accused of. To be invited on a show with the purpose of being thrown off…is the new television. In other words, I had to say what Mika wanted me to say, or else…the hook! President Trump has had some tough words for Brzezinski. In one of his most infamous attacks, the president tweeted out that she had a “low IQ” and that when he last saw her she was “bleeding badly” from a facelift. Neither Wolff or reps for MSNBC were immediately available for comment.